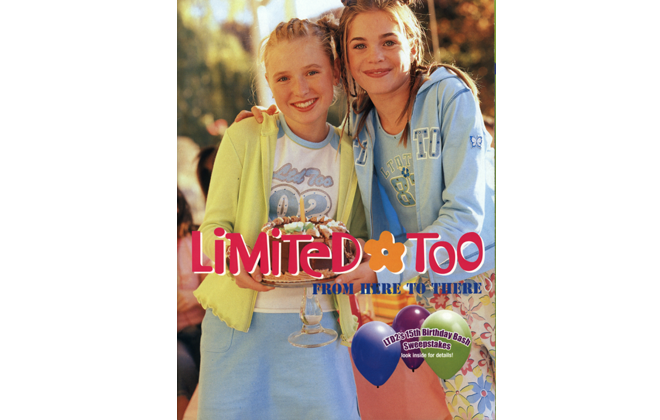 Limited Too, the tween clothing store that we all know and love, went extinct in 2008. But now the brand management company Bluestar Alliance is bringing the store back, and you know what that means!!!!!!!!!! 1. Scrunchies, hairagami, bandanas, oh my. 3. Satin pajama sets that may as well be fine Italian silk. 5. The photo booth to capture all of your shopping memories. 6. Wanting to lie in a field with your best friends forever, all in matching warm sienna palettes. 8. Those shorts that were definitely board shorts but you wore them as day clothing. 10. Whatever the technical name for that type of hat is. Because the show isn't on the air anymore, the sweepstakes also comes with a time machine. 12. Things that make you smell like gummy bears. 13. A lot of decorative belts. 14. Unconventional color pairings like green and blue (or brown and blue, see above^). 15. These rotating, light-up disco balls. 17. Unnecessarily adding fluff to everything. 19. And most importantly: inflatable furniture.